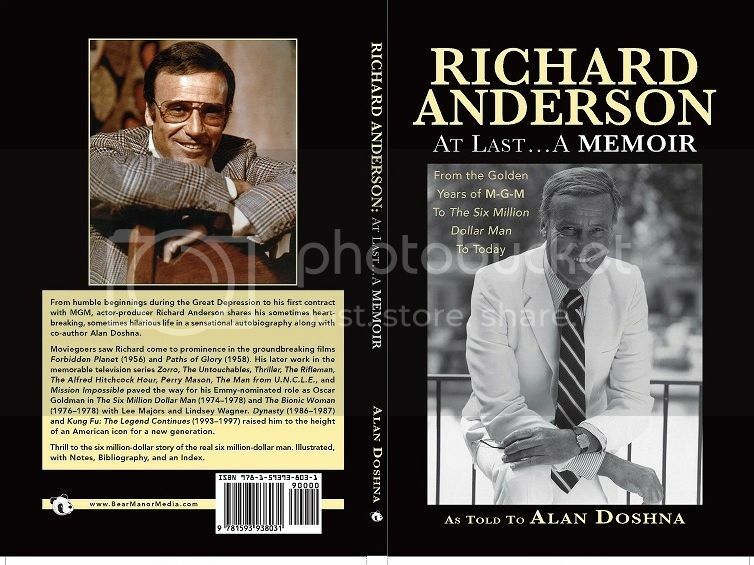 Author Al Doshna, whose background as an actor and writer make him an apt choice to co-write a memoir by veteran actor Richard Anderson, will be joining us Saturday, June 6th and Sunday, June 7th at the Silver Screen Oasis. 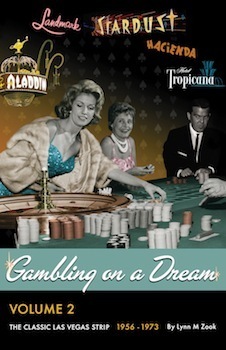 His latest book was written with an actor of exceptional range, whose life on and off the set is explored in Richard Anderson: At Last, A Memoir From to the Golden Years of MGM and The Six Million Dollar Man to Now (BearManor). The book, described by one reviewer as a "fascinating treasure trove of anecdotes from throughout Richard’s amazing life," has been hailed by more than one reader as a book in which "every page [is] like a cozy fireside visit with friends." Al Doshna covers Anderson’s humble beginnings as a young contract actor at that most fabled of dream factories, MGM to his early roles including FORBIDDEN PLANET, SCARAMOUCHE, ACROSS THE WIDE MISSOURI, and THE BUSTER KEATON STORY. Such legendary figures as Spencer Tracy, Clark Gable and Cary Grant are part of his life in each chapter, along with exceptional directors such as John Sturges, William Wellman, John Frankenheimer, and Stanley Kubrick. Anderson was also there for the classic era of television with stints on everything from Disney’s take on Zorro to The Rifleman to The Man from U.N.C.L.E.. And he starred as Oscar Goldman in the classic series, The Six Million Dollar Man and The Bionic Woman. The actor, whose debonair style blends nimbly with a natural gravitas, offers his own insights into the changing nature of the entertainment business as he also comments on the artistry and craftsmanship he has witnessed in a career that has spanned over half a century. Please join us on June 6th and June 7 to discuss with Al Doshna this distinctive actor's travels from stage, screen, and television and to explore the wide-ranging interests of the author into the world of entertainment. All are welcome! So I hope you will be able to join us! Al will be here Saturday, June 6th and June 7th to take your questions!